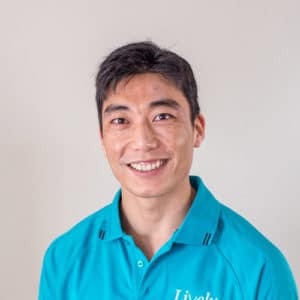 Jae joins our Lively team from New Zealand where he attended University of Otago, obtaining his Bachelor of Physiotherapy and Bachelor of Science (Human Neuroanatomy) degree in 2011. Since leaving tertiary education, Jae has worked primarily in a private musculoskeletal clinic setting. In addition, he took care of local rugby teams, regional and international rugby tournaments, martial arts clubs and tournaments, and an international basketball tournament. Jae was also the primary physiotherapist for the rugby sevens team The Borneo Eagles when they won the prestigious Hottest 7s In The World tournament in 2012. Jae has moved to Australia to further his career and learning. He has a special interest in lower back, knee, ankle, and athlete strengthening/conditioning managements. Jae also has training in Pilates, Dry Needling, Muscle Energy, TMJ managements, and McKenzie Method. He has strong evidence based physiotherapy approach and is confident with sports rehabilitation and rigid strapping. Outside of work, he likes to keep fit through gym, Brazilian Jiu-Jitsu, Tae Kwon Do, and enjoys playing the guitar. Jae teaches PEP sessions on Wednesday afternoons & Friday mornings.